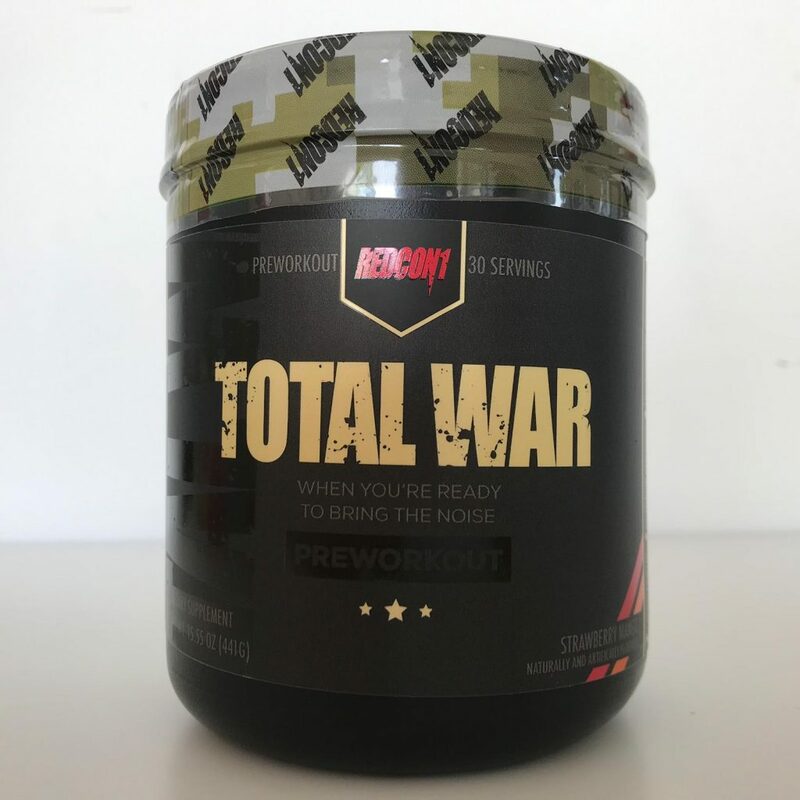 Redcon1 Total War Pre Workout #1 Review: Strong Or Weak PWO? The Redcon1 Total War Pre Workout is one of those products you just need to try at least once. As most of you might already know, it’s been reformulated a few times. Every single time RedCon1 has managed to suprise me by bringing out an even stronger version than the previous one. I’m serious guys, this new version of the Total War Pre Workout is stronger than ever. 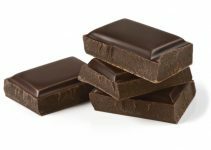 It has a well-balanced mix of solid ingredients that will cause amazing pumps and focus in the gym. I’ve been using the new formula of this product during my last workouts. In this Redcon1 Total War Pre Workout Review, I’ll be sharing my positive experiences with it. I decided to put the new Total War formula to the test. As you guys know, I’m a big fan of pre workouts and I use them regularly. I’ve used pretty much every pre workout on the market including the popular ones such as Outlift and Mesomorph. After using Redcon1 Total war multiple times I found that it’s very effective when it comes to enhancing performance in the gym. Whether you’re looking to increase intensity, set a personal record or just get a rush of energy this pre workout can assist you. What I like about the Redcon1 Total War Pre Workout is that it helps me stay focused and energized. One scoop was more than enough for me, it takes roughly 15-20 minutes to kick in and then you’ll be ready to go. The effects of this pre workout are exactly what I look for in these kinds of products. It allows me to push myself beyond my limit. I’d also like to mention that i experienced no crash at all with this pre workout. This is mainly because it doesn’t contain too many stimulants but just the right amount to get you going. As you might already know, Redcon1 has reformulated Total war several times. It no longer contains DMHA so you won’t have to worry about a crash after using it. I like the fact that this product contains a solid mix of ingredients such as Beet Root Extract that are said to be great for increasing muscle pumps. 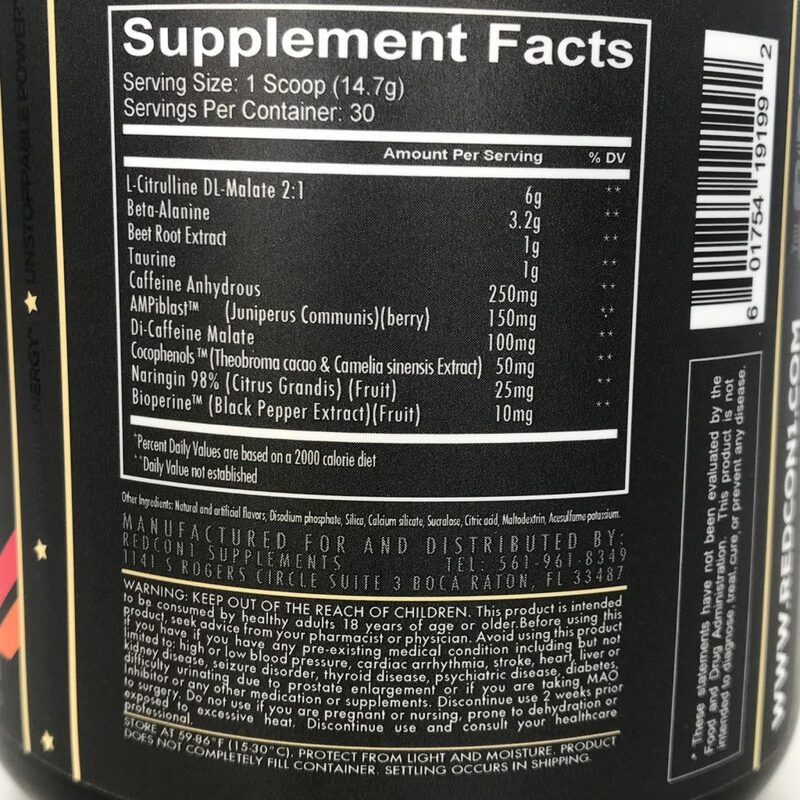 Of course, you’ll also find Beta-Alanine and L-Citrulline in this product, you can’t miss those as they are pretty much a must-have in a pre workout. 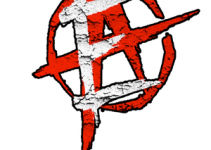 There is 250mg of Caffeine Anhydrous in one serving of Redcon1 Total War. If you’re sensitive to stimulants such as Caffeine perhaps it’s a good idea to start out with just half a scoop. Total war also contains black pepper extract which you often see in other pre workouts. The pepper helps your body absorb the rest of the ingredients. It’s a complete formula that has a lot to offer. If you’re looking for an effective and affordable pre workout supplement I definitely suggest checking out Redcon1 Total War. 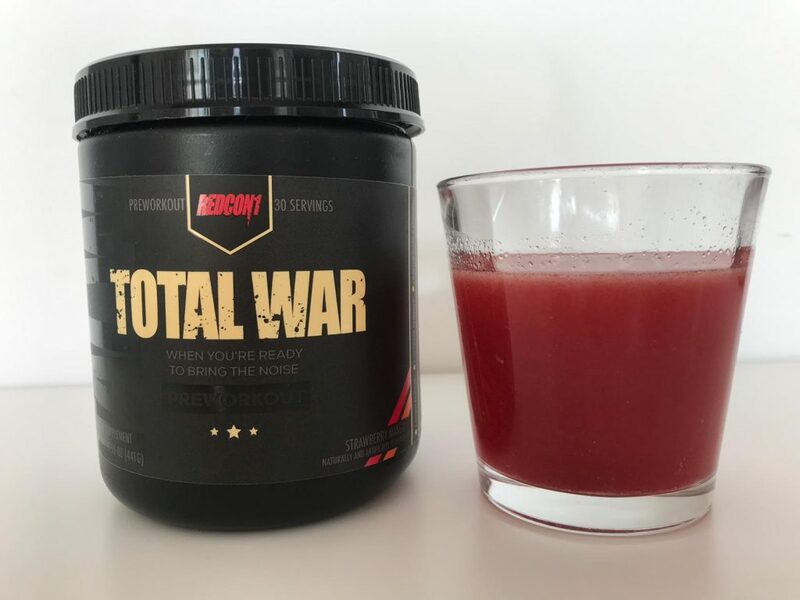 The total war pre workout is available in 17 different flavors. That’s right, 17 amazing flavours. This includes Strawberry Kiwi, Sour Gummy Bear and Pineapple Juice. For this review, I went with the Strawberry Mango flavor. The taste was really good, I poured it into a glass of cold water and was able to enjoy it. Definitely an amazing tasting pre workout, 8/10 for me. I would also like to add that the powder dissolved very easily. One bottle of Total War contains 30 servings and costs roughly $35. This comes down to about $1,16 per serving. Compared to a lot of other pre workouts, I’d say thats a pretty good price. Redcon1 Total War Pre Workout is definitely very high on my list. It contains the right amount of ingredients at the right dosage. A moderate amount of caffeine combined with various ingredients to stimulate blood flow. It gives me great pumps, focus and energy allowing me to take things to the next level. Besides that, it tastes great and is reasonably priced. If you’re looking for a pre workout that could potentially help improve your gym performance than I highly suggest checking it out. 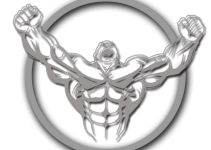 Enhanced Athlete: Are They A Legit Supplement Company?